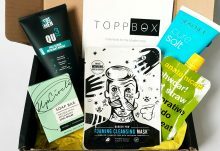 My Little Box have brought out some fabulous themed boxes over the past couple of months, and November’s box is no exception. 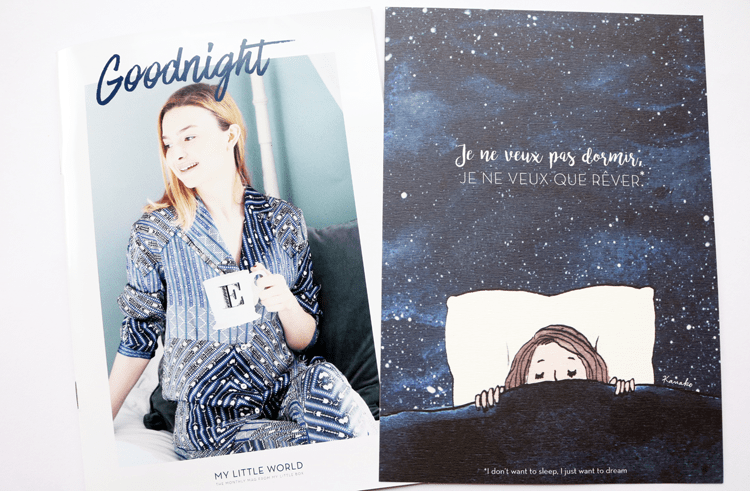 With the theme of ‘Goodnight‘, My Little Box are encouraging their subscribers to say ‘Bonne Nuit’ to the real world, and drift off to the land of dreams. 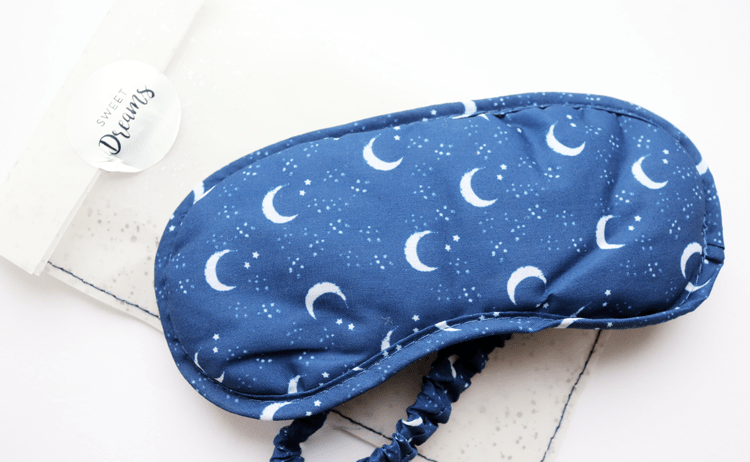 From the night sky illustrated box to the contents themselves, this one is a good ‘un! This little mag is still a firm favourite of mine and it’s always a pleasure to have a flick through when I get 15 minutes to myself. This issue has features on evening skincare routines, 5 ways to love yourself better, an interview with cover blogger star, Coco’s Tea Party, tips on how to use the beauty products in this month’s box, and a fun analysis on personality traits and sleeping positions. Now how cute is this?! 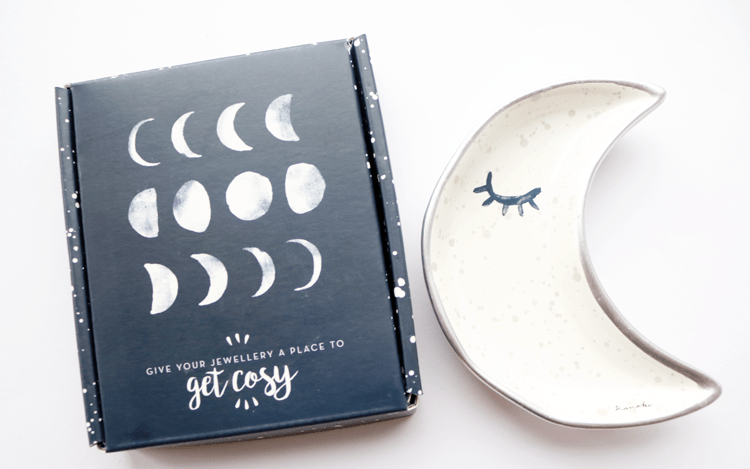 The second lifestyle product is an adorable moon shaped ceramic jewellery dish. Perfect for storing your day’s jewellery in when you take it off before going to bed, and it looks so pretty on a bedside table. 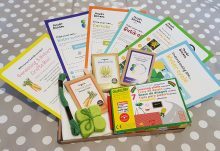 I think this is one of the nicest items that My Little Box has ever included! A 99.5% natural, vegan formula that’s suitable for all skin types. Features ingredients such as Camelia Oil, Grapeseed and Sunflower extract, this next-generation cleanser transforms into a gentle milk when mixed with water. I’ve used it twice so far and I’m really impressed by how well it removes all of my makeup, and leaves my skin feeling soft without being stripped. Smells fresh and uplifting too. This is one of the new fragrances from Yves Rocher and it smells beautiful. Very chic, sophisticated, floral and exotic with notes of Iris, Pink Peppercorn, Benzoin and Incense – this is something that I would happily buy the full-size bottle of. Another new product, this time from Garnier and it’s their brand new formula for the popular Pure Active 3 In 1 Wash, Scrub and Mask. This one’s formulated for oily/blemish prone skin which is mine in a nutshell, so I’ll be looking forward to trying this out shortly. Contains Eucalyptus extract, Zinc and Salicylic Acid which sounds promising. 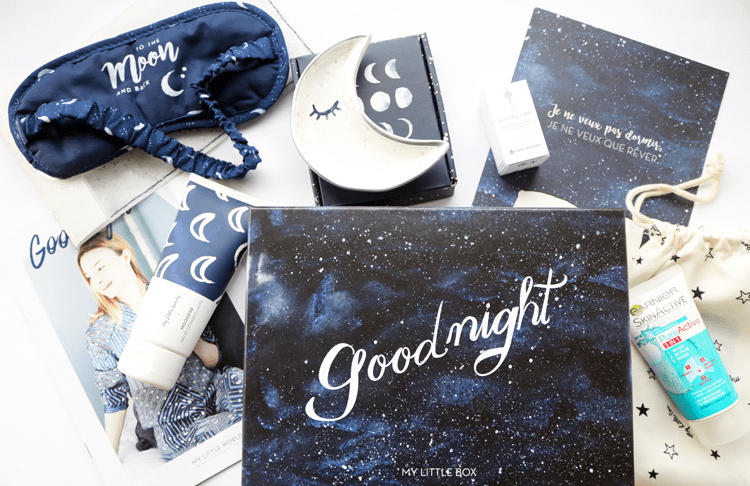 I loved the Goodnight theme, with everything in this box appealing to me straight away when I opened it up. Well done My Little Box! 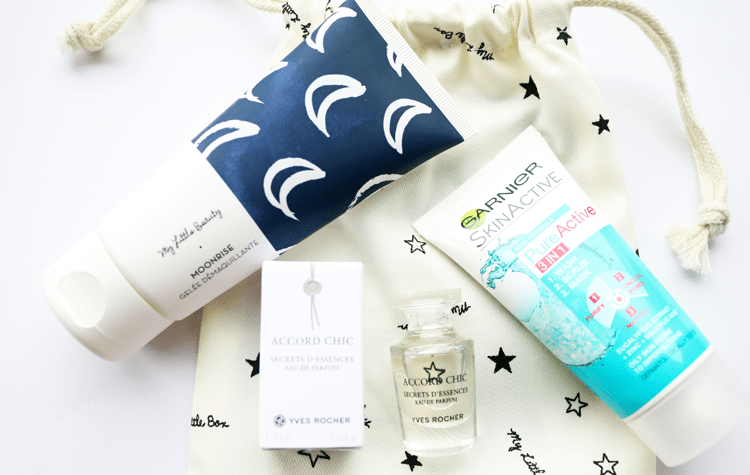 Super cute theme with a lovely variety of lifestyle and beauty products. 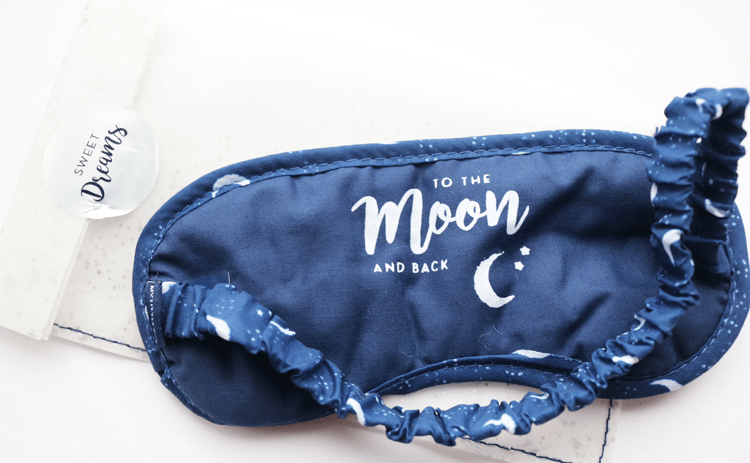 The moon dish is just so adorable! How would you rate My Little Box ?